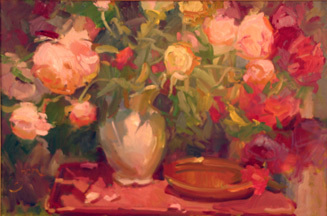 Anne Marie Oborn is well known for her Russian Impressionist oil paintings of landscapes and still life. 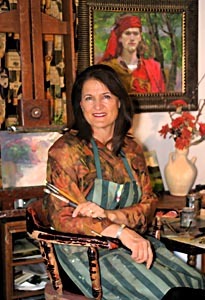 She is also a portrait painter, and her portraits are vibrant and personal. Her works are painted in colorful detail, reflecting the emotional nature of the subjects. She is a skillful illustrator and her illustrations have appeared in many publications. She completed an intensive, thirty-day course of instruction in St. Petersburg, Russia at the Russian Academy of Art taught by master artist, Petrov Vadimavich. 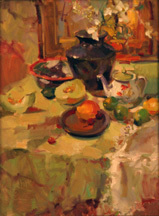 As a signature member of Oil Painter's of America, Anne was included in their regional and national shows.